Just before the end of Jesus’ life on earth He began teaching His disciples to pray in His name. Before this time the concept was unheard of. Prayer was always to the Father but never in Jesus’ name. But all that changed. And it was not a teaching that was taught nonchalantly or casually. In fact, He repeated the teaching over and over again, as to emphasize its importance. 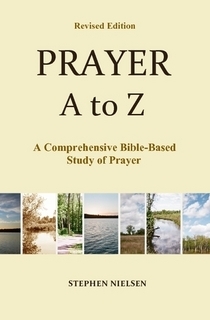 Six times, recorded in the gospel of John, He taught the disciples to pray in His name. And each time the teaching was with the promise that they could pray for anything, or for whatever they wished, and their prayer would be answered (Jn. 14:13,14; 15:16; 16:23,24,26). If this was true then, and is still true today (which it is), then there is great power in the right use of His name. We certainly need to know how to pray in His name. When the Lord Jesus returned bodily to His Father in heaven, the Spirit of Christ, embodied in the Holy Spirit came to the earth to dwell with all believers. Since that day of Pentecost, the beginning of the Church age, we may say that all believers, in a general sense, pray in Jesus name by virtue of the fact that they have a new life in Christ. Yes, when we became Christians we gave up our old life with our old identity—self. And we took on a new life with a new identity—Christ. Moreover, when we as new believers were adopted into the family of God, having a new Father and a new family, we received a new name, the name of Christ. Hence, now we have a new identity. With that new identity, I am connected ever so closely to the person of Christ like a branch is connected to its vine. He has purchased me with His blood. I am His possession. And so I take His name as my name. Now, I don’t, nor should you ever call yourself “Christ.” For He is the only Messiah and the only savior of the world. In contrast, we are sinners and could not save anyone. However, what I am saying is that He lives in me, and thus I identify myself with Him. Moreover, I can draw on all of His Power, His goodness, and His faith—and all that He has. I am not Christ but I represent Christ. And so I take on the name of Christ. The closest title to Christ that I can give myself is that I am “a Christian,” which is a believer and a follower of Christ. I love to be called a Christian because that title tells the world that I am His. Here is more to ponder: I am not only a child of God (John 1:12), but I am a part of the church and am the bride of Christ (Rev. 19:7; 21:2, 9; 22:17). Now when a woman marries a man what is one of the first things that she does after the marriage ceremony? She puts aside her own name; she disregards it and forgets it; and she receives her husband’s name and all the rights that are associated with it. We have been married to Christ and have taken His name. He purchased us with His blood; He brought us to Himself as His bride; and He gave us His name. And now, having His name, we have the right to receive everything belonging to Him. Hence, with the correct use of His name when we pray, we may receive anything we ask for. Why? Because we are Christ’s bride and He and His father will not deny us the things we need. As a child of God and as the Bride of Christ we are His representatives. This is the responsibility part. We represent His name, which is who He is. We carry His name in our person since Christ dwells in us. All that we do and all that we say is a reflection to the world of who Christ is. Paul says, we are ambassadors for Christ as though God were bringing to the world the message of Christ through us (2 Cor. 5:20). But we not only represent Christ to lost people, we carry His name within us to the angels, to demons, to creatures, to our Christian friends, and also to the Father as we pray. As Christ’s ambassador or representative we do not represent ourselves, but we represent the interests and the good name of Christ; and so we must set aside our own name (which really means to set aside our personal interests and ideas) and carry on His. We represent Him only. Hence when we come to the Father in prayer we must bring to Him nothing of ourselves, only of Him, nothing of our name, only of His name, since He is the one we represent. Having this mindset in prayer we can be absolutely certain that He will hear us and give us whatever we ask for (1 Jn. 5:14, 15). This entry was posted in Jesus' Name, Prayer A to Z Excerpts and tagged 1 John 5:14-15, heaven, Holy Spirit, Jesus Christ, John 1:12, prayer. Bookmark the permalink.